1 round of 22 holes playing both silver and red baskets. Awesome prizes for top finishers of each division and an amazing players pack. 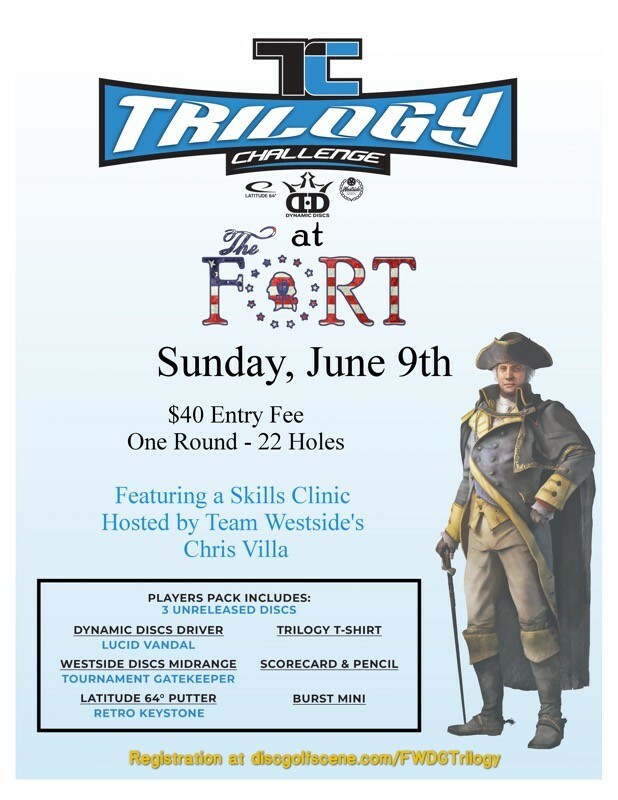 But wait...If that isn't enough... after the round Westside sponsored player and local pro Chris Villa will be giving a skills clinic with giveaways/prizes from Westside discs. Come learn from one of the areas top players! 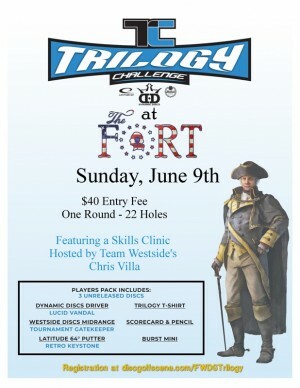 Tournament is capped at 44 players so early preregistration is highly encouraged. Fort Washington Disc Golf Club is responsible for all refunds/cancelations. 1:15pm Chris Villa skills clinic!